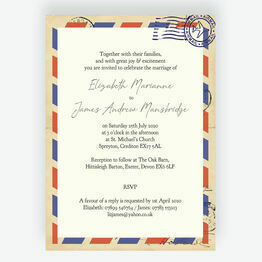 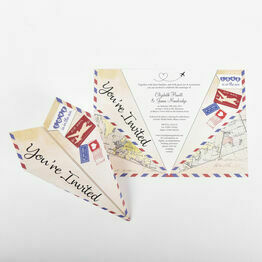 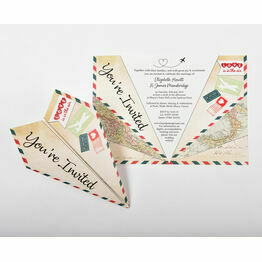 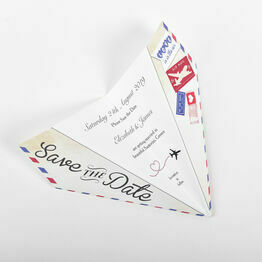 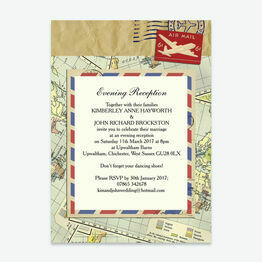 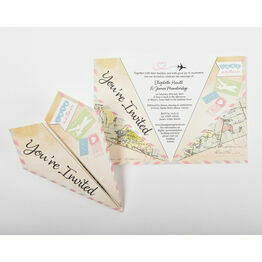 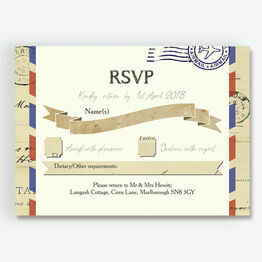 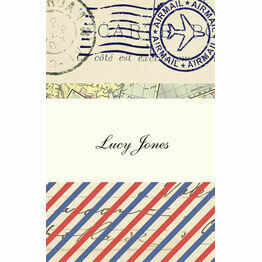 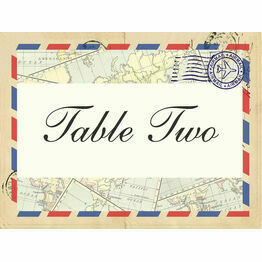 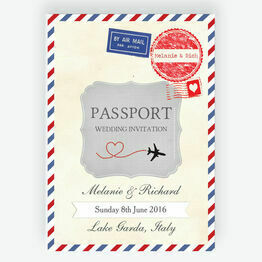 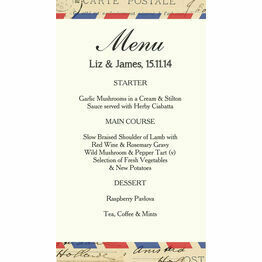 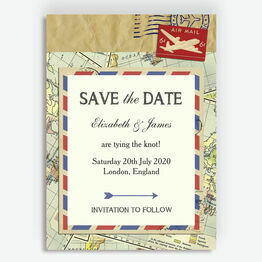 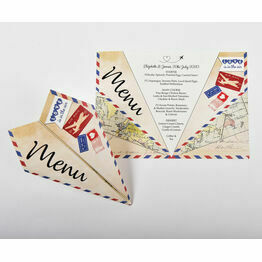 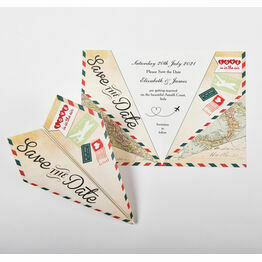 Whether planning a destination wedding, or incorporating your shared love of travel at your celebration - this beautiful vintage airmail inspired wedding stationery is just the ticket! 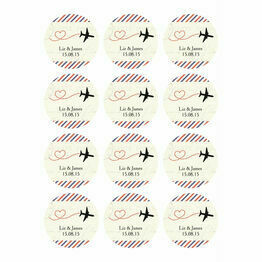 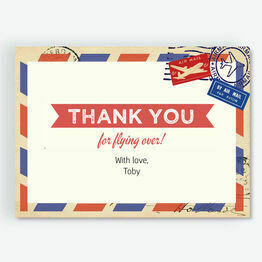 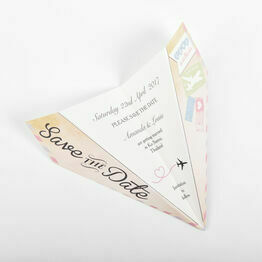 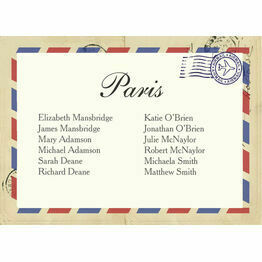 With all the items you'll need from Save the Dates to thank you cards, you'll be spoilt for choice. 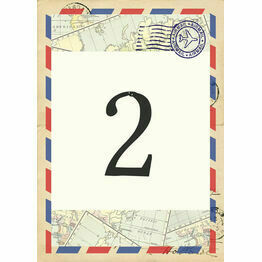 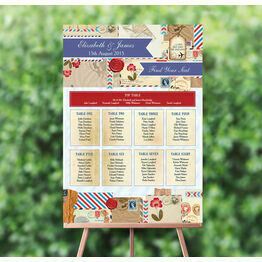 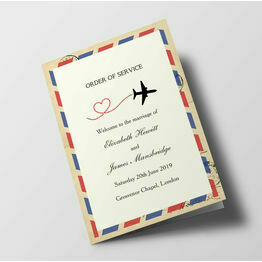 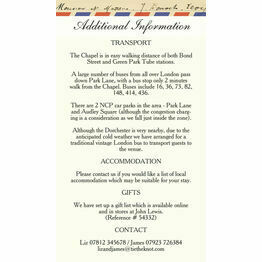 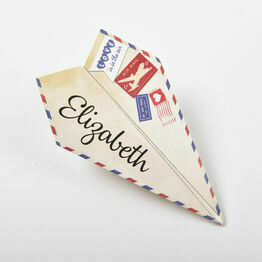 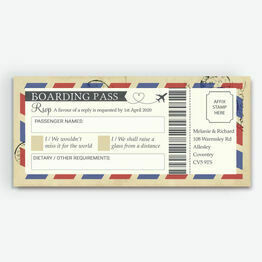 You can also choose printable PDFs or order professionally printed.